Like most, I'm a big fan of stationary (who isn't?) 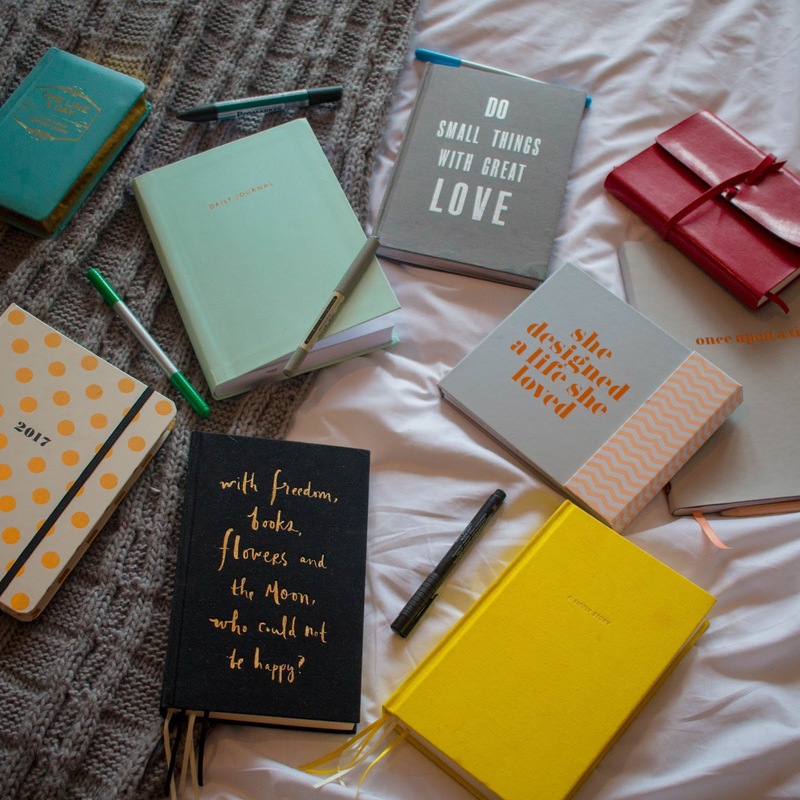 I recently I realised I have a pretty excessive amount of notebooks, and when I tried to have a clear out, I then realise I actually get plenty of use out of the whole bunch so I thought I'd share my love and uses for notebooks with you. 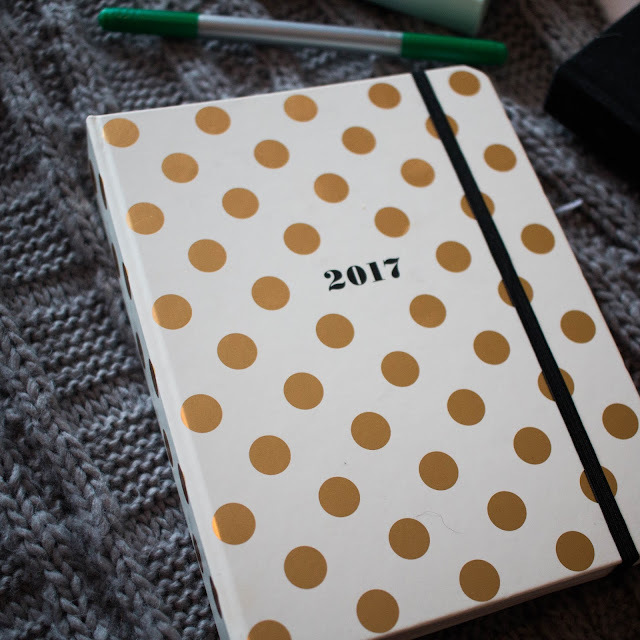 Firstly I have my 2017 diary - mine is from Kate Spade (find it here) and I use it pretty much daily to organise my plans and to check what I am doing. I had the same diary for 2016, just in a bigger size. I enjoyed using it so much that I felt the need to repurchase. I love that this diary both has the entire month laid on a page and each week laid out on a page so I can see either my plans for the month or my plans for the wee which just makes everything very easy. 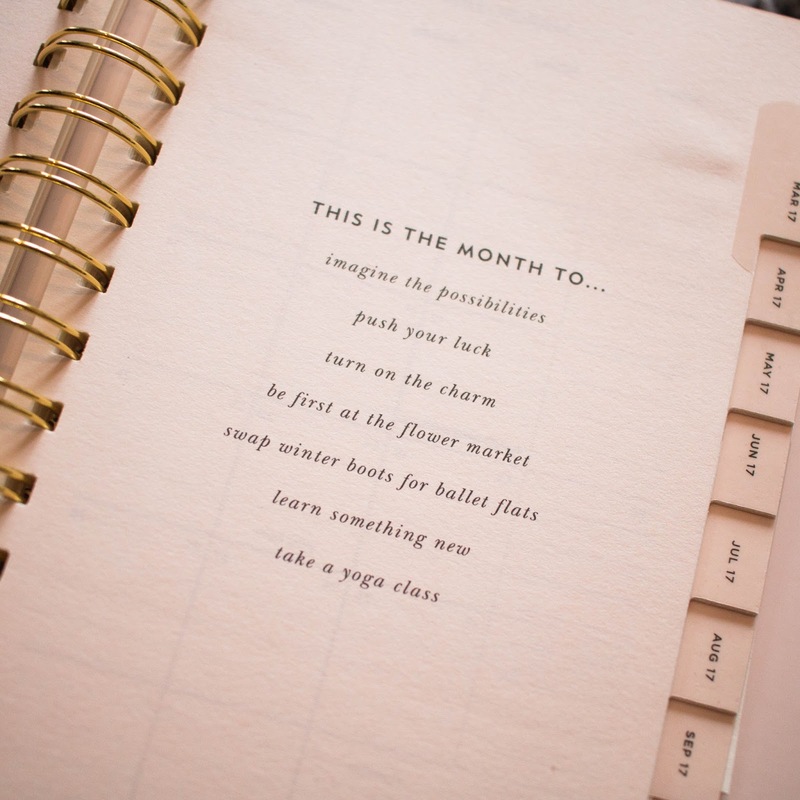 Also, I did notice this year they added monthly to-do lists, which is just pretty damn cute. 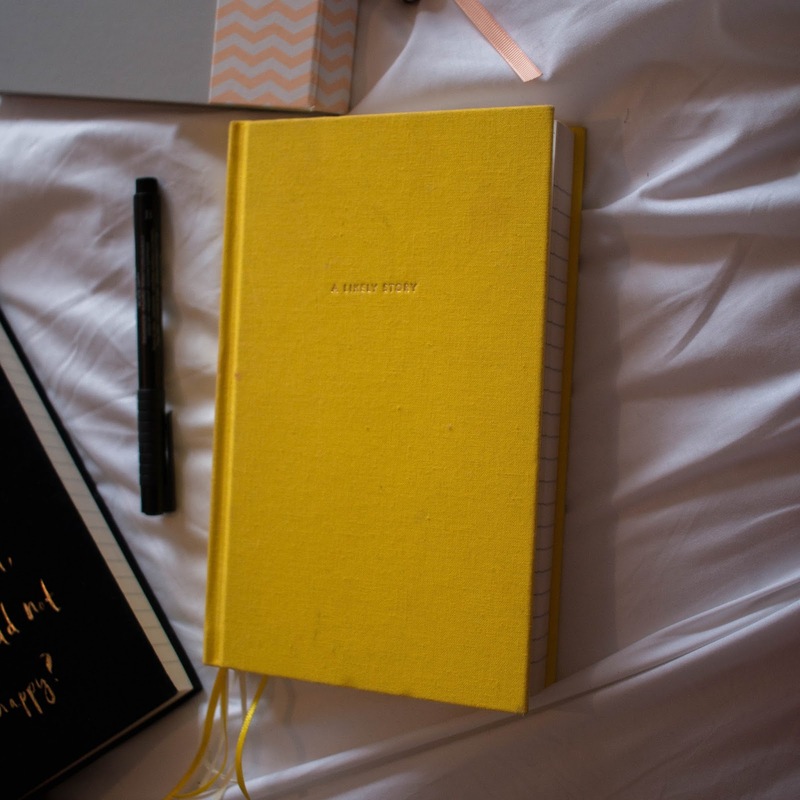 While we're on the subject of diaries, let's talk about my other ones (...because one is clearly not enough). 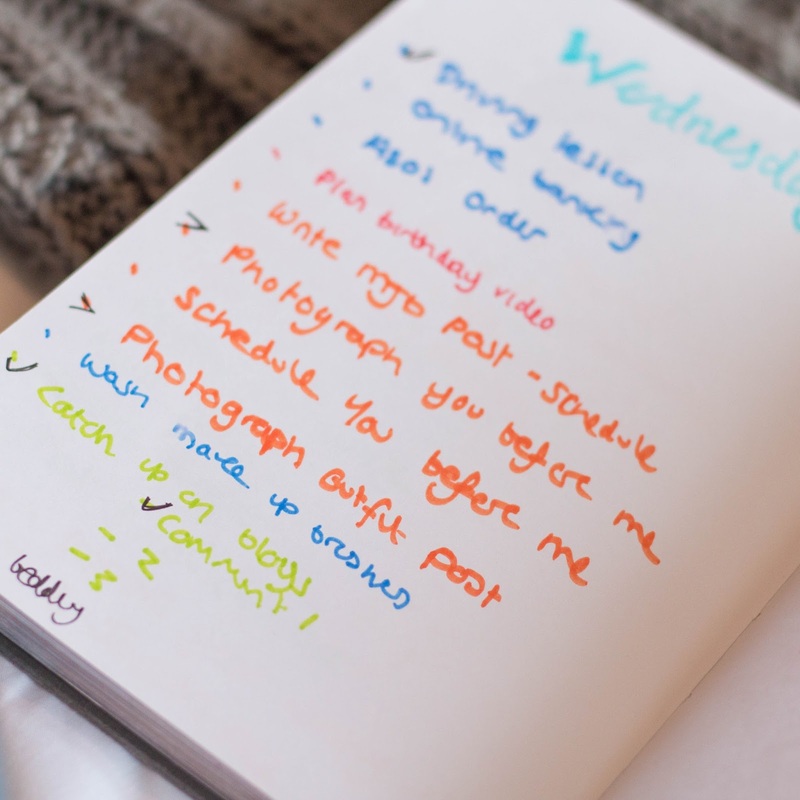 I like to write everything down, so I have a diary for 'dear diary' purposes. 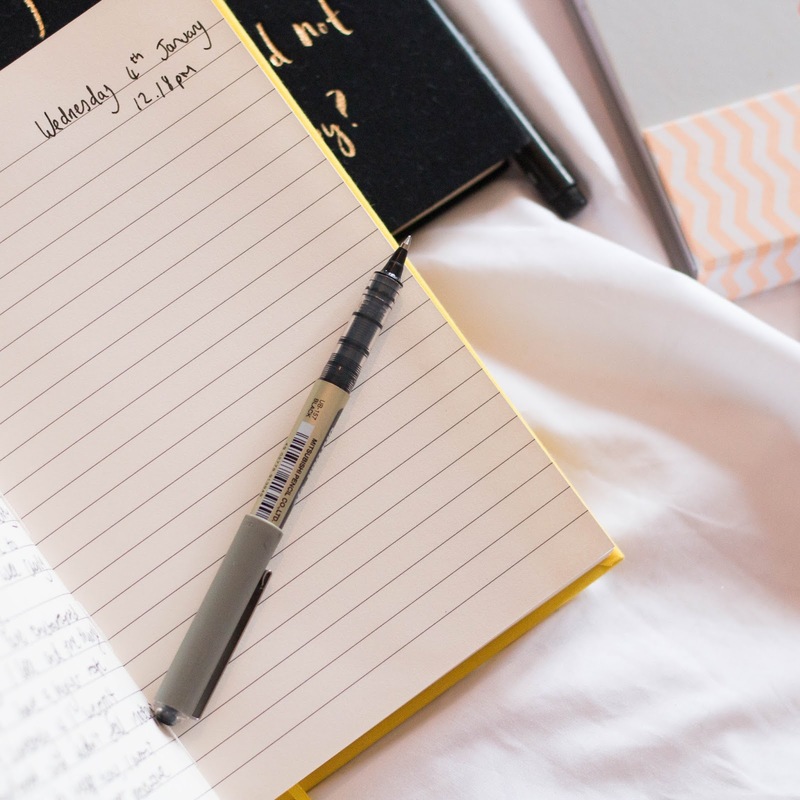 It started out for me to record memories, but it's slowly turned into getting anything off my chest, and if I'm honest it mainly consists of "I fancy this boy, and he doesn't fancy me back"... but I find it very therapeutic to write down my thoughts, no matter how ridiculous they really are. For this, I used another Kate Spade notebook (similar here). This one is yellow, with the words "a likely story" on the cover. I loved the quote on the front which is why I choose this one, being yellow however it does tend to get a tad grubby. 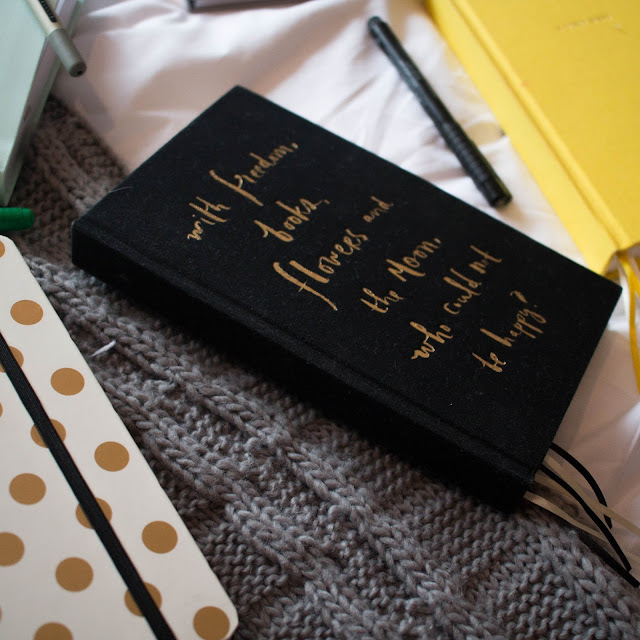 This diary is very typical teenage girl, but I wouldn't be without it. To record daily thoughts and goings on, I recently began a One Line A Day, 5-year memory book - which some far I've kept up (only another, almost 5 years left to go). 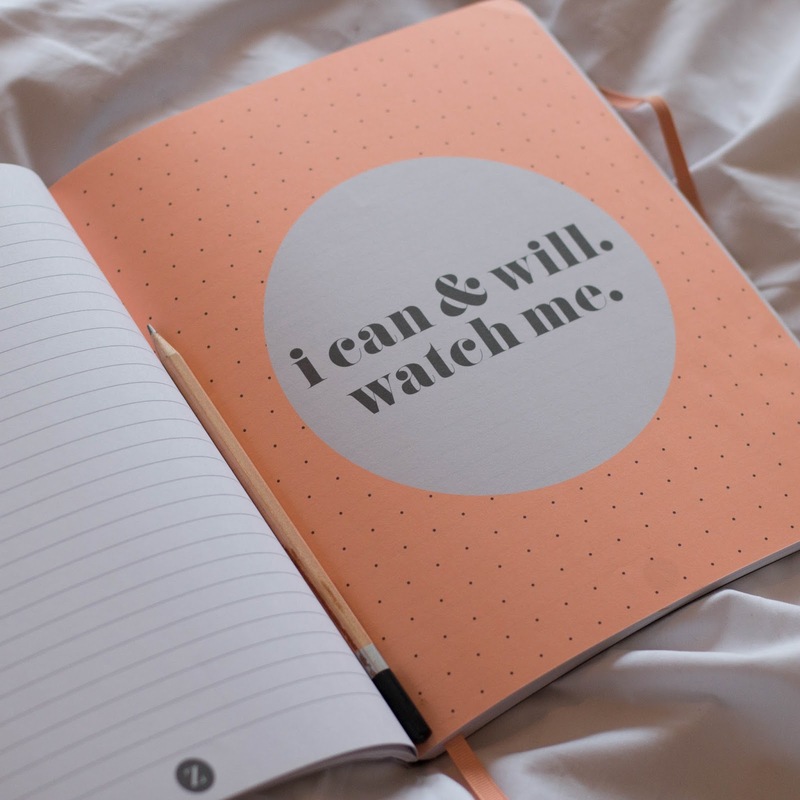 I love the idea of this, it makes looking back so simple, and as it's only a line it's easy to maintain. 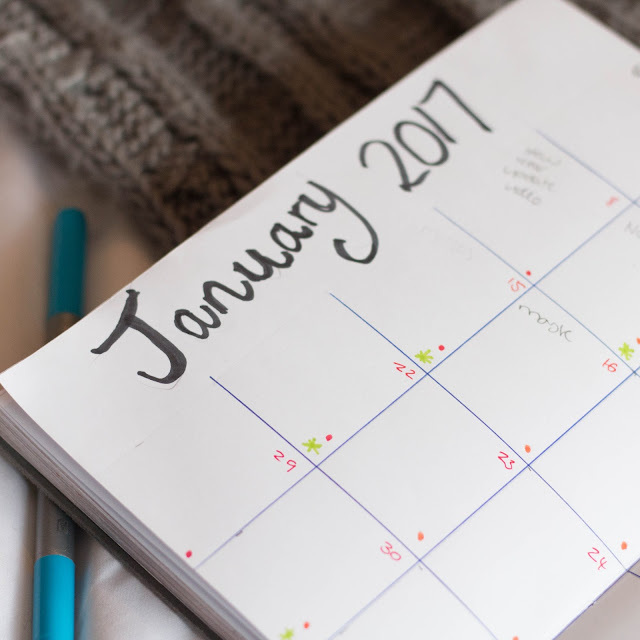 You just fill out the year with each entry. I can't wait until a couple of years in to see how much my life has changed. 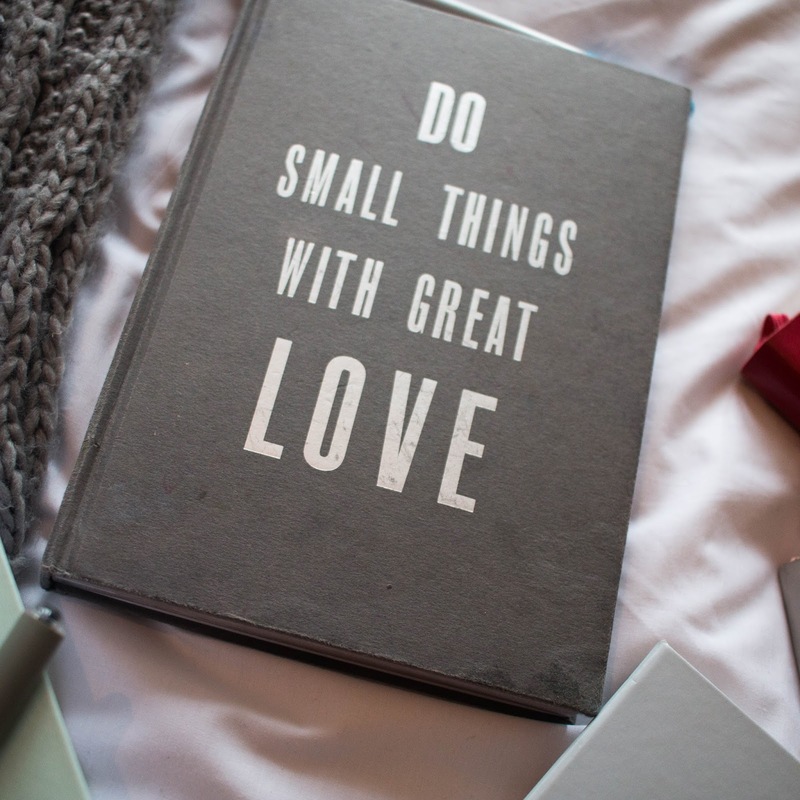 The first is from The White Company, it's a grey notebook with the words Do Small Things with Great Love on the front - a nice little reminder to put love into everything. The pages inside are plain, which means I can be a little more creative with what goes on them. 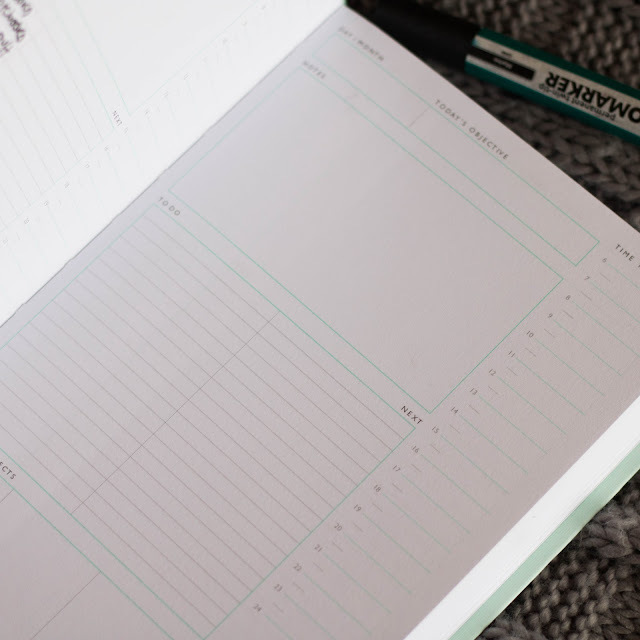 Originally, I bought this book intending to use it as a bullet journal - but slowly it became more of a blog post date planner and to-do list book. 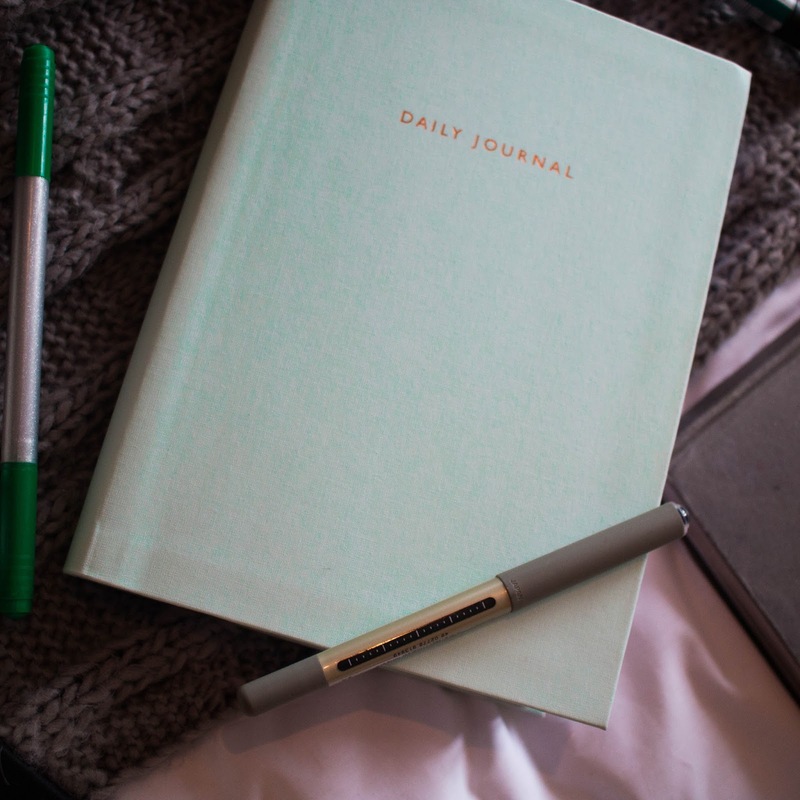 The newest to my collection is my Daily Journal from Oh Deer. 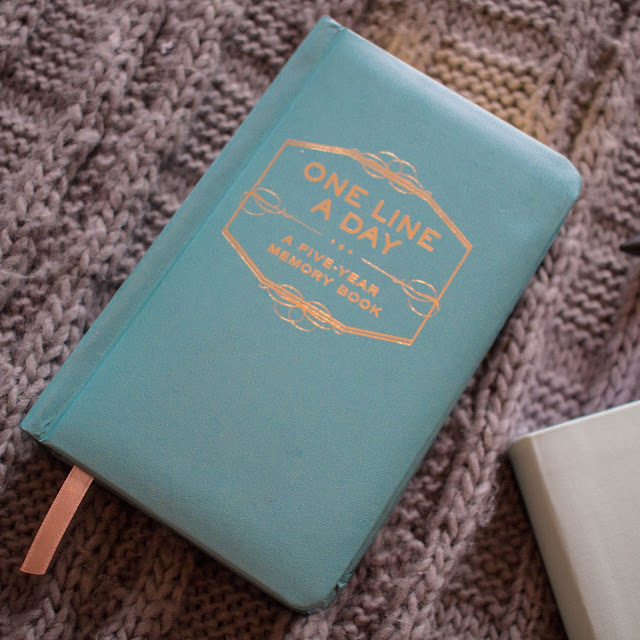 The cover is a plain turquoise colour with the words daily journal printed in a rose gold. 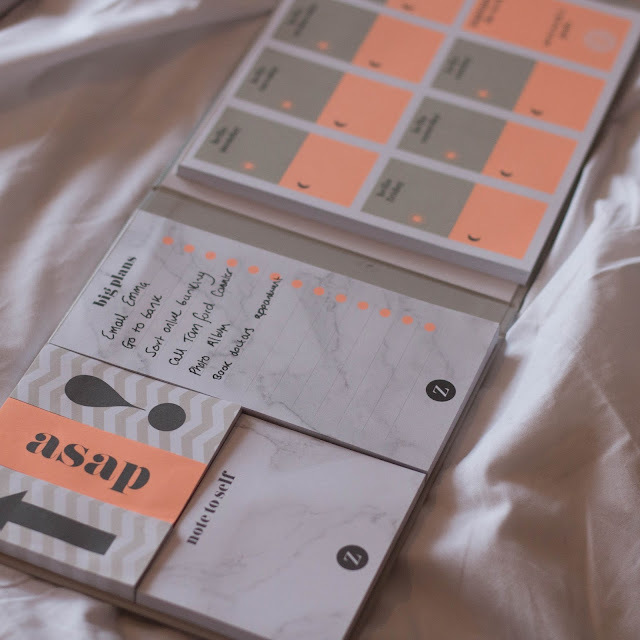 The pages inside are laid out perfectly to plan to your day. It just has everything you need. 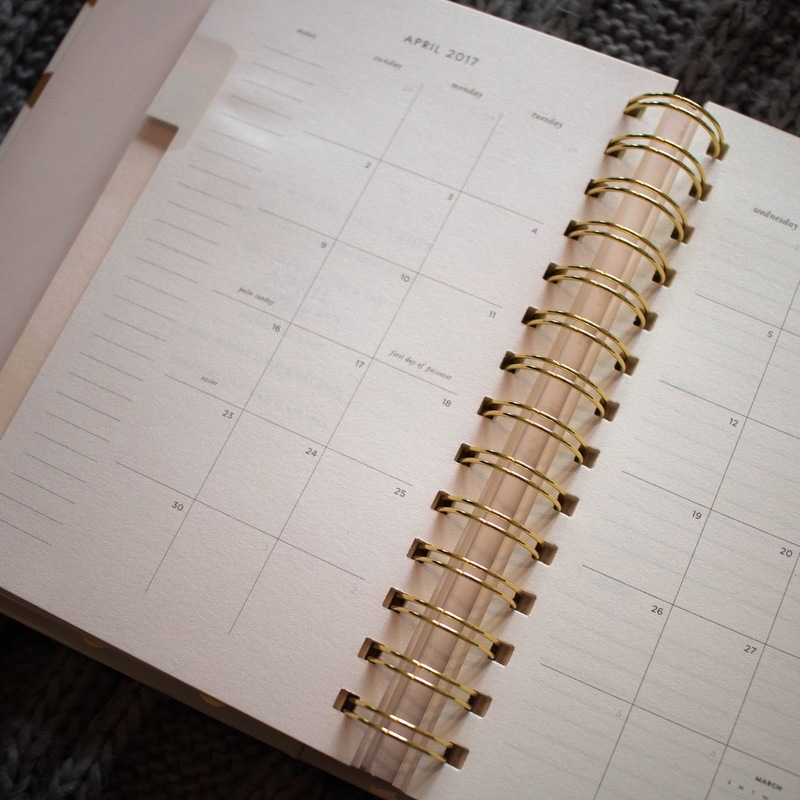 I've only used it a few times so far but I've loved using it, it's just made everything very easy to schedule in. 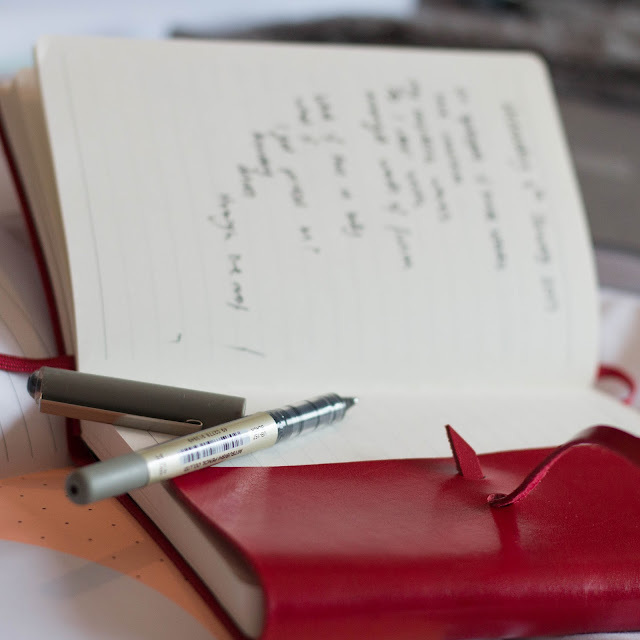 I'm attempting to immerse myself into the world of poetry writing, as it is something I'd love to be good at - so I find myself writing a couple of (usually awful) poem each week - and I keep them all written in this little red book - so hopefully in a few months time I'll be able to flick through and see an improvement. 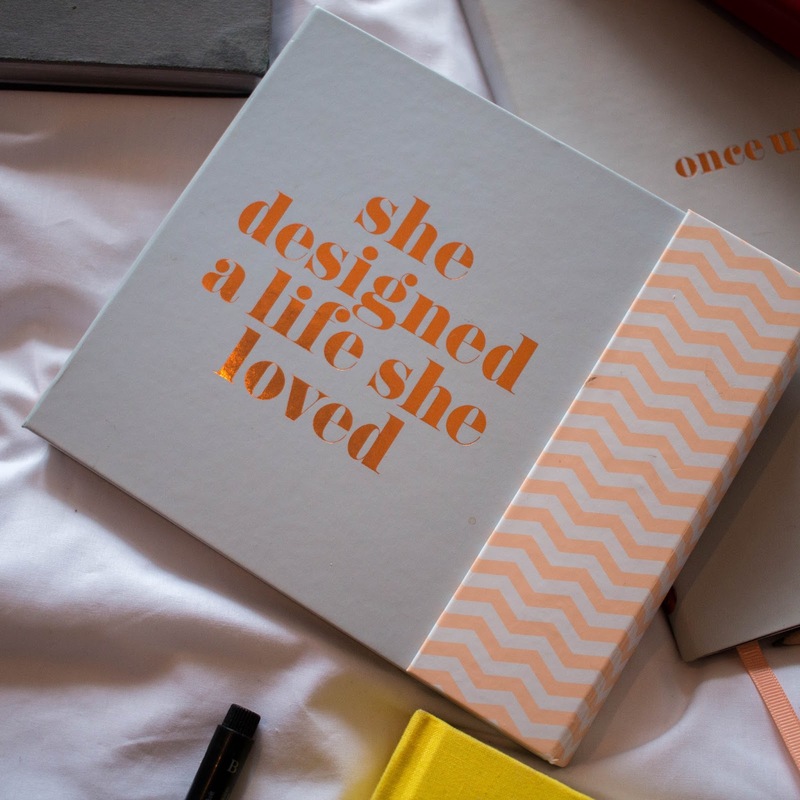 Lastly, I've got some of the Zoella lifestyle stationary (full blogpost here). 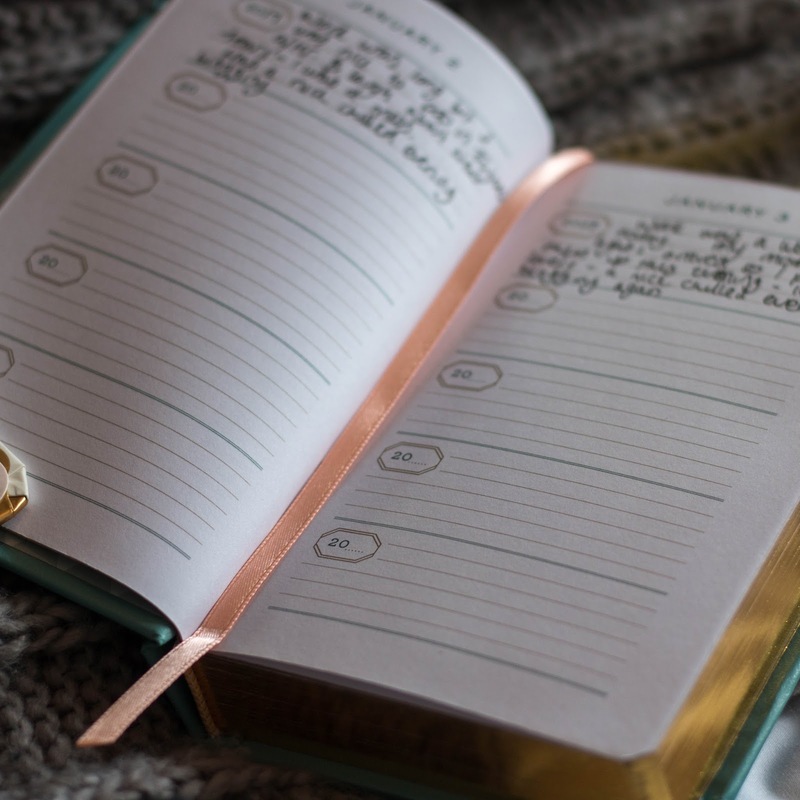 I use the Once Upon A Time notebook for general life organisation - it's where the shopping lists and things to remember go. And then for the last smidge of organisation some weeks, I'll use the Zoella She Designed a Life She Loved Book to plan my days and write weekly to do lists.